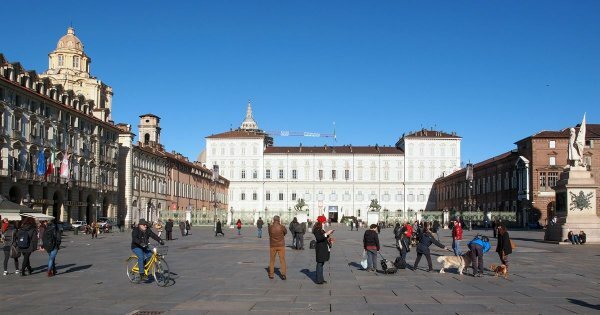 Torino (Turin) is after Milan the largest city of northern Italy. The formerly industrial dull town has undergone a metamorphosis. Baroque palaces and churches have been dusted off, and the doors of the beautiful museums are invitingly open. Moreover, Torino is in a beautiful, dramatic setting: surrounded by the Alps. The Egyptian museum is a must-see during a Torino guided tour as well as the Galleria Saubada, the Museum of Modern Art, the Filmmuseum, the Duomo di San Giovanni and so much more. Italy is, of course, best known for Roman art and ancient masters from the Middle Ages and Renaissance. During your sightseeing tour, you will come across a lot of modern art in the street, and visit the extraordinary Museum of Modern Art. Exhibitions of the surrealists can also be found at the Palazzo Bricherasio. Italy has a rich film history, which you will discover in the Filmmuseum. This museum is a must-see during your Torino guided tour, you will be taken into the history of cinema, from 'magic lanterns' to the silent film, and you can view various special film props, such as a coffin used in the movie Dracula. After your visit, take the lift to the top of the Mole Antonelliana. This tower can be seen all over Torino, and from the visitor platform, you will see the Alps on bright and sunny days.